Trauma can impact every person involved in a Title IX investigation: the parties, the witnesses, even the investigators. Traumatic stress affects brain function and, in turn, memory and behavior. Many of our traditional assumptions about witness accounts may not apply when a traumatic event has occurred. Investigators themselves can experience secondary trauma, affecting their ability to work effectively. T9 Mastered’s unit on trauma-informed interviewing is taught by Dr. Brenda Ingram, a licensed clinical social worker who has over 30 years of working in the mental health and education fields specializing in trauma. She is the Director of Relationship and Sexual Violence Prevention and Services at the Student Counseling Center, Department of Psychiatry and Behavioral Sciences, USC Keck School of Medicine, where she is also a Clinical Assistant Professor. Dr. Ingram’s session looks at the neurobiology of trauma, providing insight into how the memories, emotions, and experiences of traumatic events are captured in different parts of the brain. Participants learn trauma-informed forensic interview techniques to maximize the information they obtain, while minimizing harmful impacts on the individuals they interview. T9 Mastered provides the trauma-informed training required by law; it is vital for achieving both effective investigations and Title IX compliance. 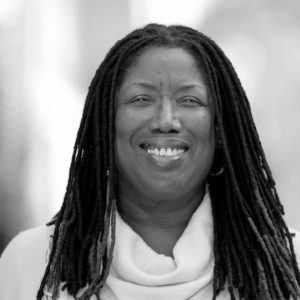 Dr. Brenda Ingram is a licensed clinical social worker who has over 30 years of working in the mental health and education fields specializing in trauma.